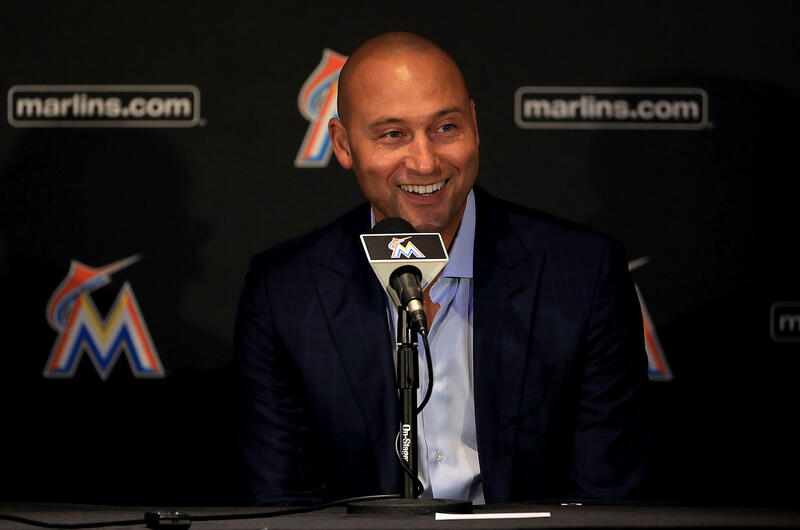 Yankees legend and Marlins CEO Derek Jeter created a new education program that focuses on players and managers becoming bilingual. The goal he says, according to a report, is for them to "fit in" Miami's vibrant Latin culture. In an ESPN profile of Jeter published Tuesday, he spoke about the curriculum designed for Latin American minor league players that teaches them several life skills, among them financial planning and cooking healthy meals. But at the core of it, the aim is for them to learn English -- and for English-speaking players and managers to also take Spanish lessons. "I've been to the Dominican and Venezuela," he told ESPN. "I went to Cuba with Major League Baseball in 2016. So I've been to those countries and tried to learn as much as I could about their cultures. Well, especially here in Miami, if you don't speak Spanish, you don't fit in. I think it's important." The five-time World Champion isn't exempt from the classes either; he and other executives are going to take Spanish classes, too. In the meantime, the budding CEO has his hands full with improving the team overall. The Marlins currently have a 48-75 record and sit at the bottom of the National League.